Many mattress companies state that they offer the best quality beds at the lowest prices. To stick to their claims, they find ways to prove they are cutting costs in their business model in order to save customers money, whether it’s selling liquidated items or cutting out sales staff. 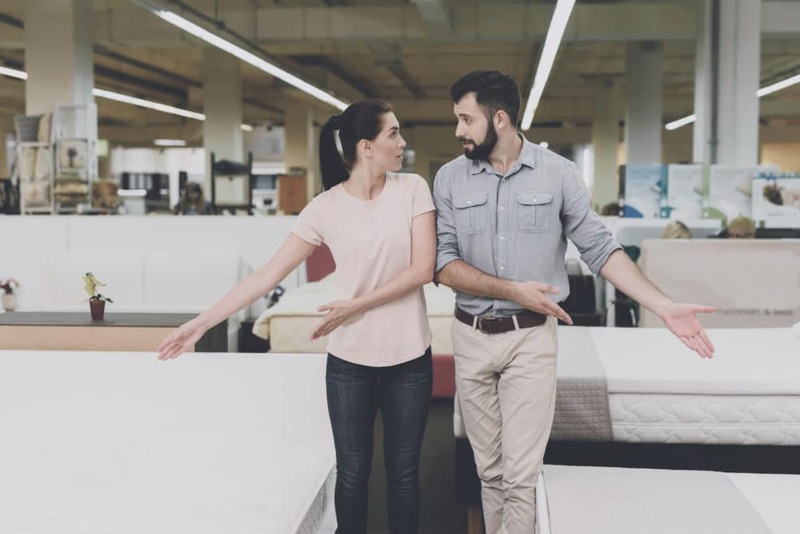 In this Beloit Mattress vs. Mattress by Appointment comparison, we’ll discuss the approaches of two popular mattress companies to help you decide which may give you the best product for the best price. Who is Mattress by Appointment? Mattress By Appointment began in 2011 as a privately owned and operated company. Currently, there are franchise owners in 39 states, one of which is in Beloit. Their sales pitch is that they can offer more than half off of brand name prices because they only see customers by appointment. Not paying a sales staff for hours when customers may not come in means they can pass those savings on to their price tags. Mattress by Appointment sells premium brand name mattresses including Tempur-Pedic, Sealy, Beautyrest, Serta, and more, as well as their own line of Mattress by Appointment beds. Beloit Mattress Company began in 1929 when a family of mattress makers began selling their products out of their factory in Beloit. 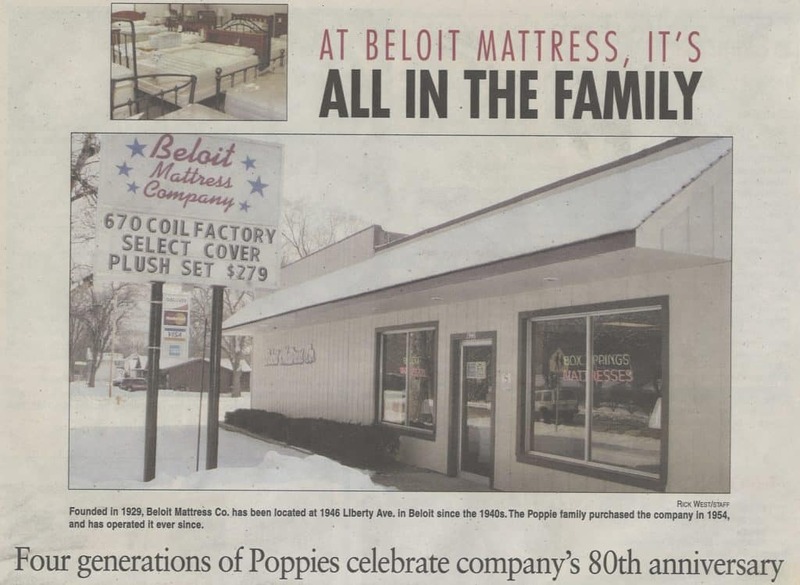 Through the years, Beloit Mattress Company opened a store in Beloit and then expanded into Rockford, Illinois. In the past 40 years, the company has remained a family business, and each employee is familiar with how each bed is built — because they are still made by hand. Beloit Mattress company uses locally sourced materials to make their own innerspring, memory foam, latex and hybrid beds. And because they design, manufacture, and sell their mattresses, there is no middleman retailer to pay. Customers simply get quality beds from sleep experts who have been in the business for nearly half a century. At Beloit Mattress, you can shop whenever you want. You can’t always plan for when you’ll have time to shop for a mattress. You can walk into a Beloit mattress store anytime and find a knowledgeable member of our team who will be happy to help you. Beloit Mattress has been in business for 80 years longer. This mattress family has seen what works and doesn’t work for a good night’s sleep. They put that expertise into their products so they can help customers sleep better. You won’t find a mattress expert who has only been working in the industry since 2011. You will always get a better price with a factory direct mattress. Mattress by Appointment may reduce their costs by not paying a large sales staff, but they do have to pay to stock overpriced brand name beds. But Beloit custom builds each bed and then sells it, allowing them to price their products much lower. Still Not Sure Which Mattress Company to Trust? Come See Us Anytime. At Beloit Mattress, we love to talk about your sleep, and we want to help you improve it. That’s what we do. You’ll never have to worry about inconveniencing us by walking in at the wrong time. Just open our door, find a friendly face, and find out which one of our quality, comfortable mattresses is right for you. And don’t forget to bring your 5% off coupon!